Today we’re sharing 3 recipes for 3 dips made with 3 ingredients or less! It’s like a dip trifecta! Which one are you most excited to make? 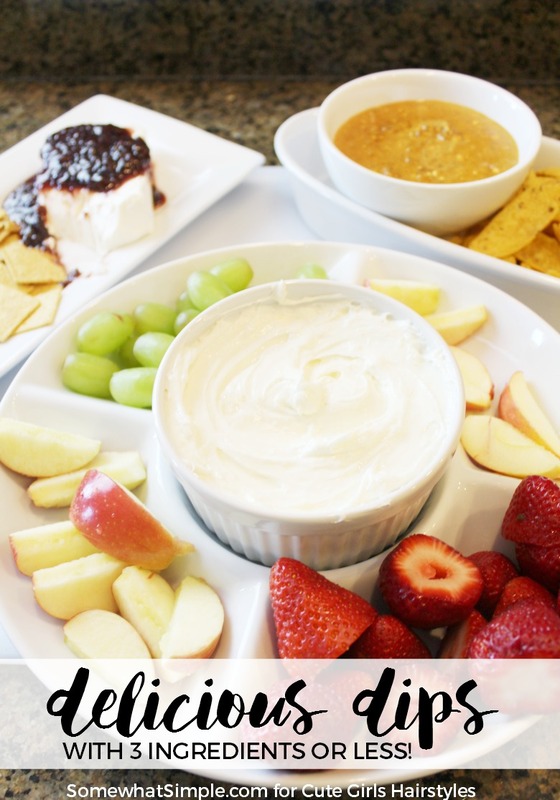 Do you have a simple dip recipe your family loves? I’d love to hear about it – leave me a comment in the section below!